On the way back from taking my daughter to school, I made a quick stop at North Chagrin Reservation. North Chagrin is located near Willoughby, Ohio just east of Cleveland and is part of the Cleveland Metroparks system. It is renowned for its wood ducks and I wasn’t disappointed. These pictures were taken at Sunset Pond and Sanctuary Marsh on the west side of the park near the very impressive nature center. 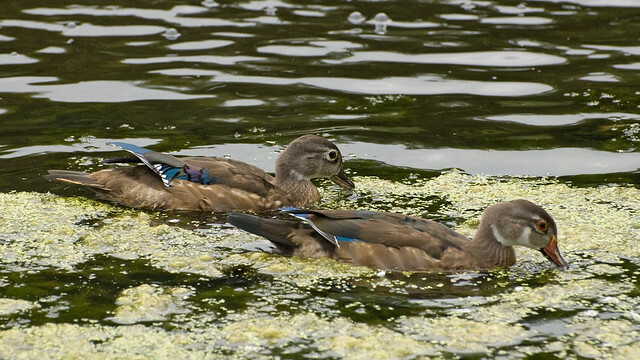 North Chagrin sponsors a nature photography weekend in mid-October when the male wood ducks are in their spectacular, and a bit bizarre, breeding plumage. The difference in eye color was very striking between the male and female. 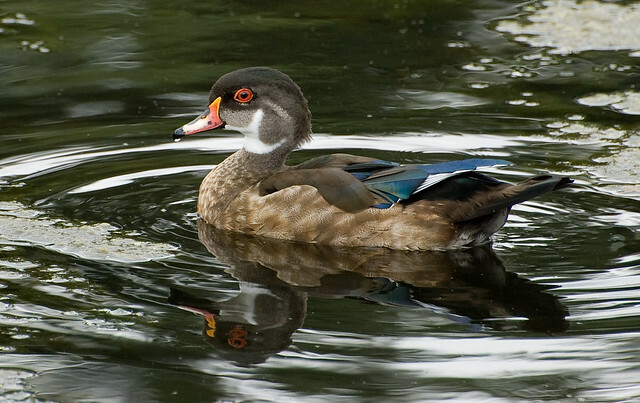 Wood ducks are classified as perching ducks, as they will perch and nest in trees. I’ve read that they have well-developed claws that accommodate this behavior, though I have never seen these. Thought a certain regular reader might like this shot! This entry was posted on 15 September 2011 by patacoate. 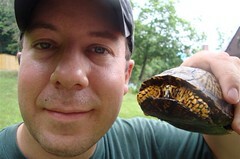 It was filed under iPhone and was tagged with male wood duck non-breeding plumage, north chagrin reservation, Wood Duck. Captivating photos! So clear and crisp. What beautiful ducks. 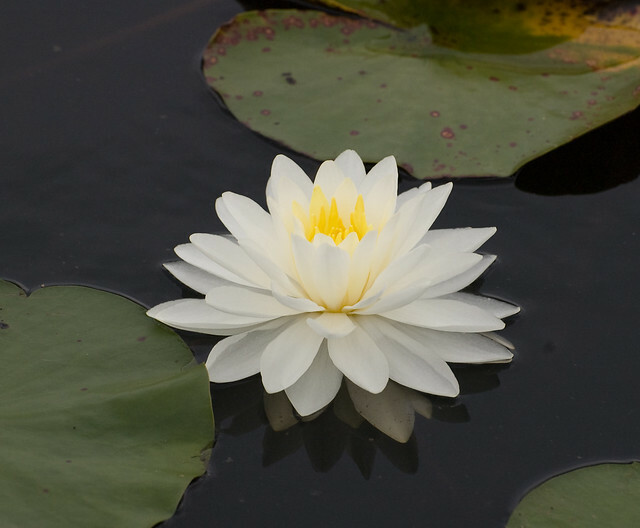 I’m rather fond of waterlilies! 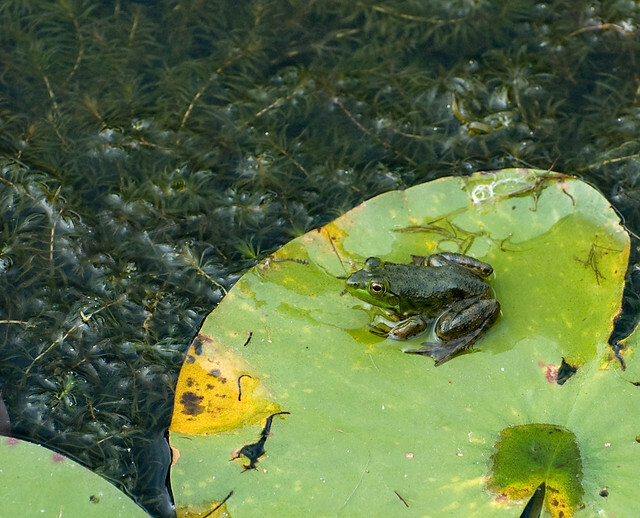 And who can resist little frogs? I, too, am wearing my non-breeding plumage. 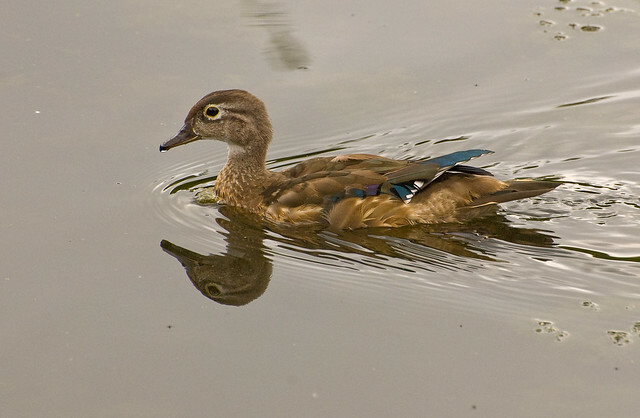 Wood ducks are so amazing. They seem like they must come from some exotic land. That’s an interesting note about the eye color…I wonder if maybe the difference goes back to breeding. Very nice photos!